Another week, another meal plan! Last week’s meal plan didn’t go quite as we had planned, and I know this coming week will be a bit hectic too because we’re going out for Valentine’s Day, plus Max’s parents are going to be visiting Friday, Saturday and Sunday, which makes it a bit more challenging to plan meals. But not to worry, we’ll set up our menu, make our lists and be prepared just in case. 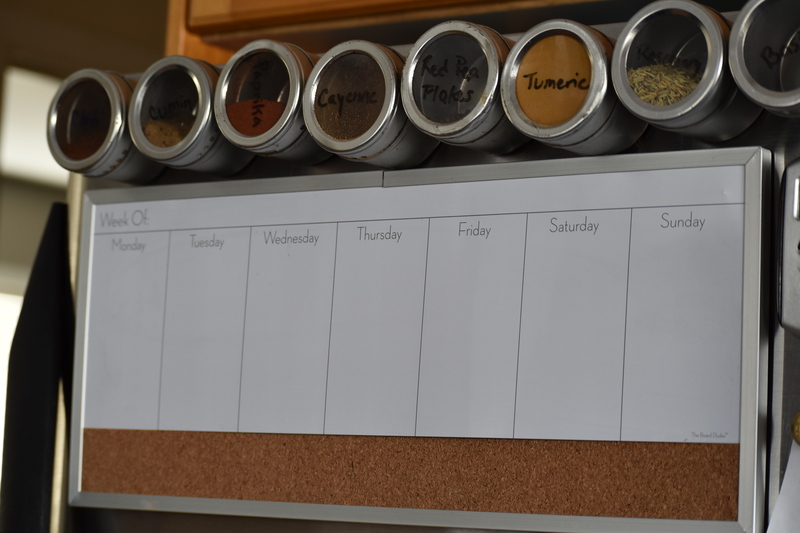 The meals that we chose for this week are simple ones for which we already had lots of ingredients. 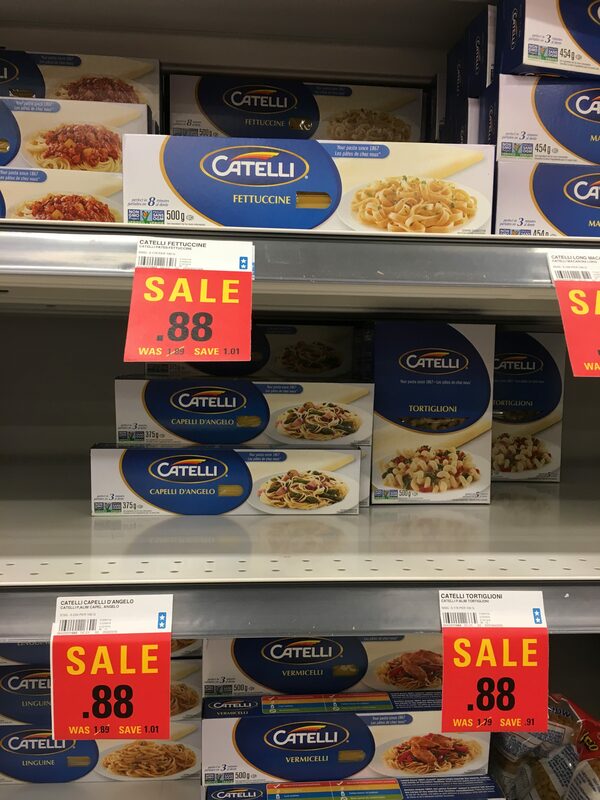 We figured it would be best to save money on groceries since we are going out to the restaurant twice this week. I also gave myself a little challenge this week. To try to be more eco-friendly, I decided I would try to avoid plastic packaging as much as possible. 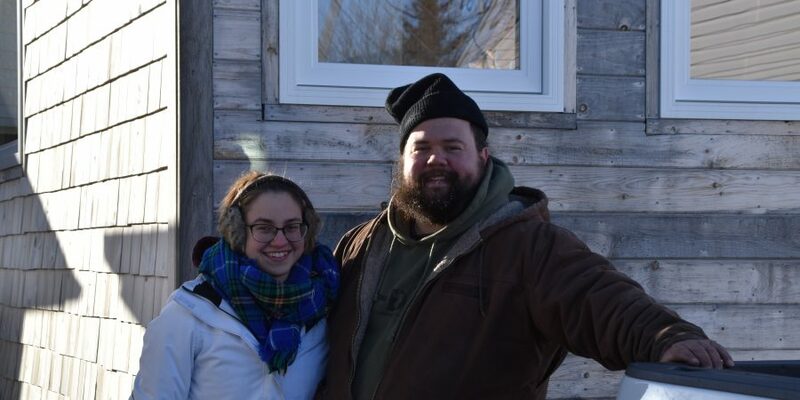 Unfortunately, Moncton doesn’t have a Zero Waste store (but Edmundston does!) so it’s challenging to eliminate plastic altogether. So our goal is to make the effort to reduce this amount of waste, and I think we did a decent job. 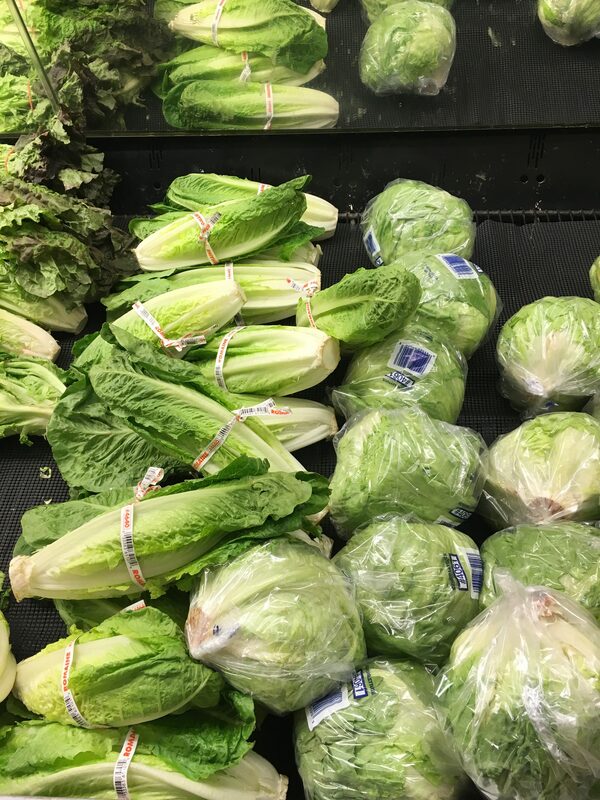 We usually purchased Boston or Iceberg lettuce, but they all come in plastic packaging. Instead, we bought unpackaged Romain Lettuce. 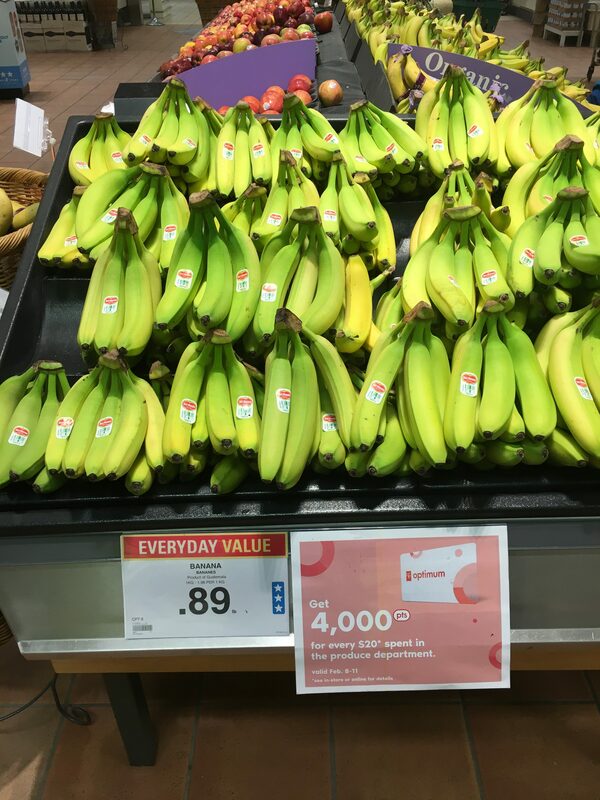 The bananas at Superstore come with no packaging. We used to buy them at Costco, but they come wrapped in plastic. 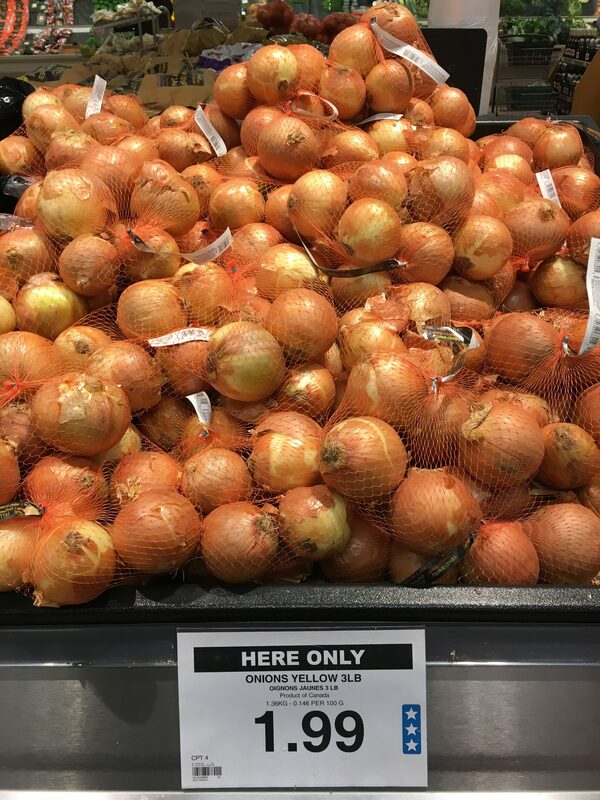 These onions were on sale at 1/3 the price of unpackaged onion. Financially, I couldn’t justify buying the unpackaged ones this week. 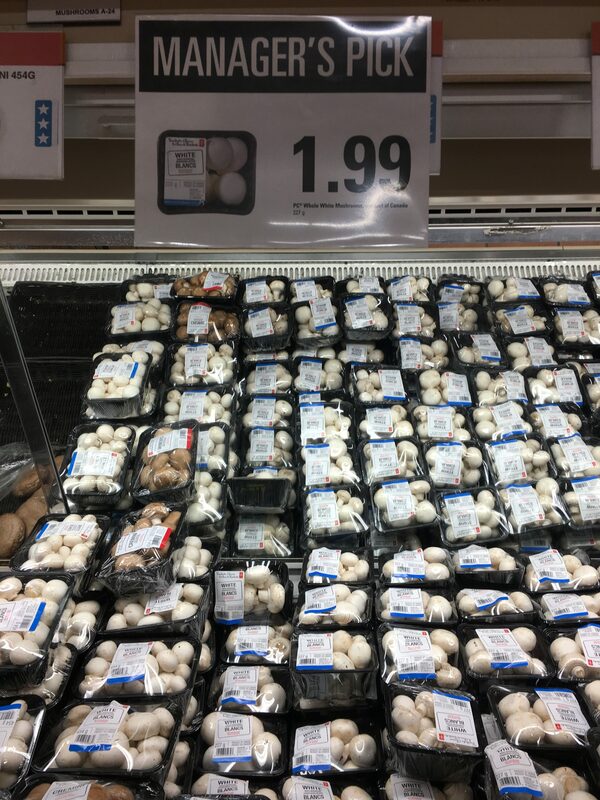 Couldn’t find any mushrooms without packaging. 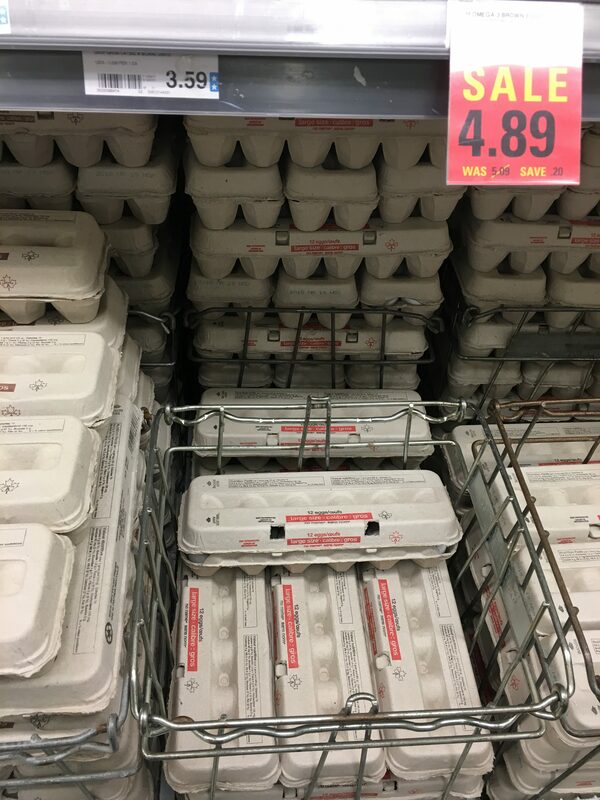 Eggs cartons can be brought back to the Farmer’s Market or your local farm to refill with eggs. 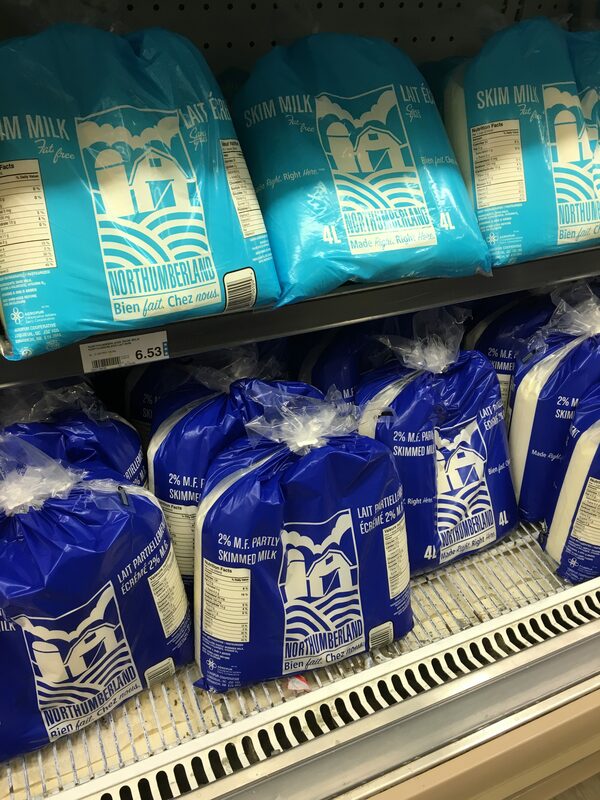 We buy milk bags instead of jugs because there’s a group of women in Moncton who reuse the outer bag to make woven mattresses for people in Haiti. And I’ve tried them – they are actually very comfortable! 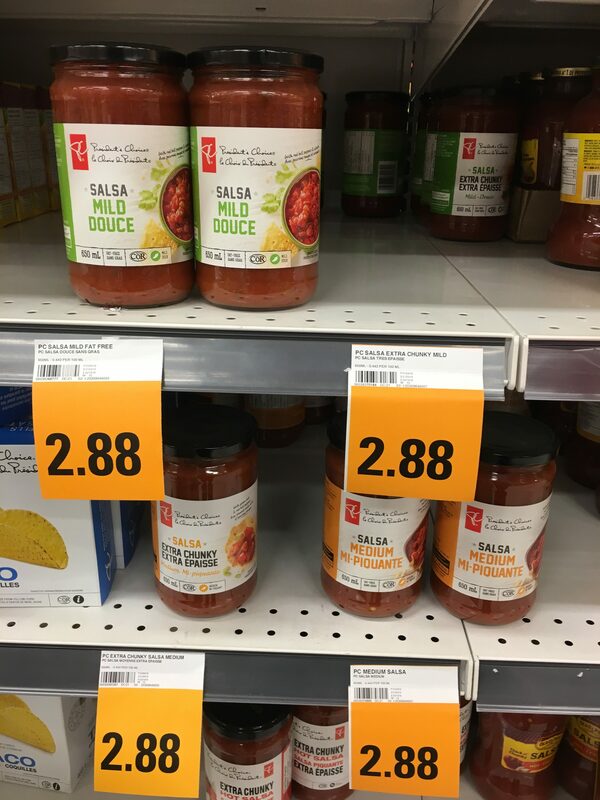 We snack on chips and salsa all the time, so when I saw they were on sale I bought two. And no plastic here, all glass! Crackers are another favourite snack. They come in a cardboard box, but they are sealed in plastic. 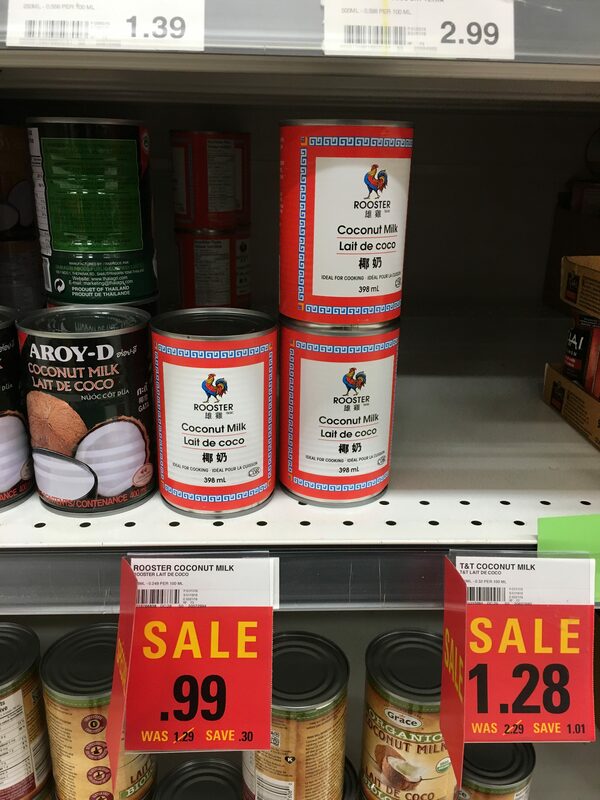 Coconut Milk comes in aluminium cans – no plastic! We bought this pasta that comes in cardboard packaging so it can be recycled, but I’m going to look around to see if pasta can be purchased in bulk with no packaging. The end results of our grocery trip this week! 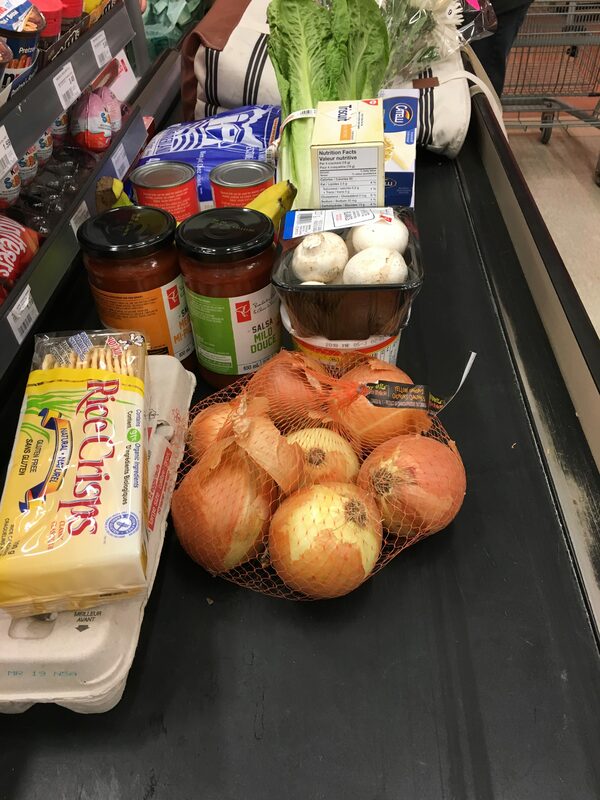 Our grand total for this week’s grocery was $37.21, and I was able to use $30 worth of PC Points to pay for part of the grocery. So our total money spent this week was $7.21 – not too shabby! We are decluttering and reorganizing our kitchen this week. One goal is to replace plastic with cloth or glass storage options. Love that you are doing this too! I have alot of work to do…but every little bit counts and we all start somewhere! BTW, you can take your own containers into Bulk Barn too. My pantry restock will be all with reusable containers and refilling. Thank you Ruth Ann! 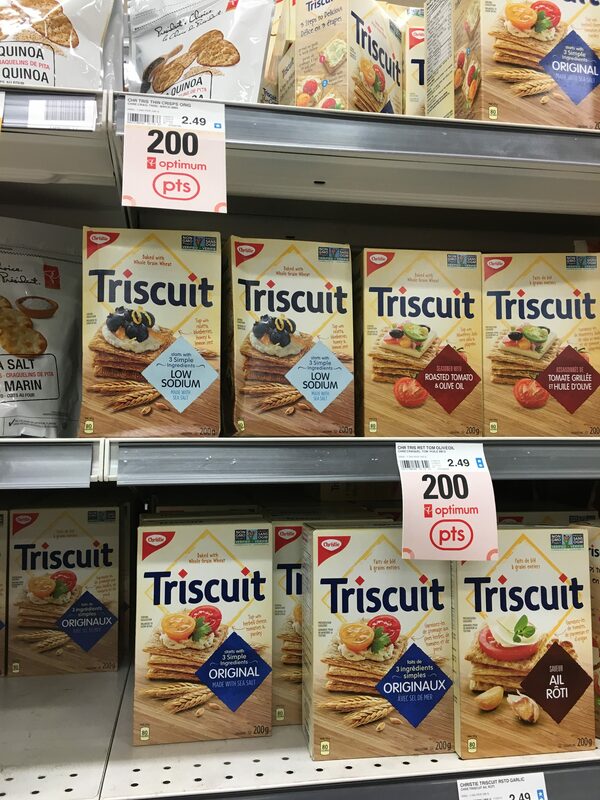 Yes, we went to Bulk Barn last week but we are well stocked on most pantry items right now. We also visit Corn Crib frequently to refill products – if you’ve never had their peanut butter, you need to try it! It’s so good!